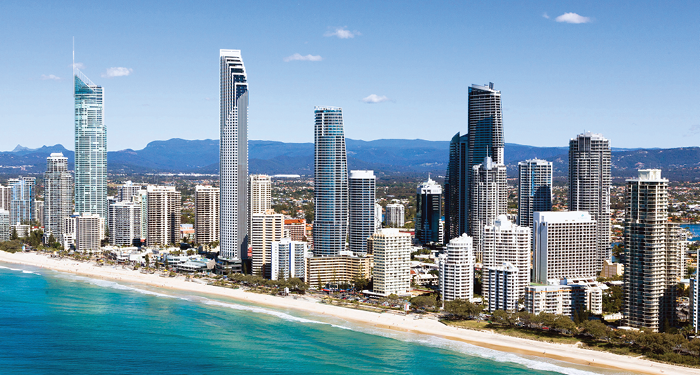 By entering into the Site, you agree to indemnify GOLDOC, the State of Queensland and their respective officers, employees and agents from and against all actions, claims, suits, demands, damages, liabilities, costs or expenses whether direct or indirect (arising out of or in any way connected to the use of the Site by you). The Site contains content that is owned by GOLDOC or third parties. The content on this Site is made available to you for your personal use and enjoyment. You must not use the Site in any manner so as to restrict anyone else's use and enjoyment of the Site.  You may use the content on this Site for your personal use only. You may not use the content on the Site for any commercial purpose unless you have first obtained our express written permission. You may not publish, reproduce, modify, transmit distribute or otherwise commercially exploit or communicate to the public for any purpose whatsoever any of the content on this Site whether in hardcopy form, electronic form or any other form whatsoever. All content on this Site or made available through this Site is the property of GOLDOC or a third party. The content on this Site is provided in good faith and updated regularly but we do not make any representations as to its accuracy and cannot guarantee the completeness and correctness of all the information displayed. You may not, without our express written permission, use the content in a manner that suggests an association with any of our products, services or brands. You must use the Site in a responsible manner and solely for lawful purposes. You must not use the Site for any activities which breach any laws or regulations, infringe a third party's rights, or are contrary to any relevant standard or codes of ethics. You must not use the Site in any way such as to gain unauthorised access to our operating systems or to tamper, hinder or modify the Site or knowingly transmit any disabling features to the Site. We make every effort to ensure the Site is free from any virus or computer code file or program designed to impair the performance of the Site or any computer software or telecommunications device ('Virus') but we make no representation that the Site is free from any Virus. We do not accept responsibility for any damage to or loss of your data or computer system which may occur as a result of using or accessing the Site. All intellectual property rights in relation to the content on this Site are the property of GOLDOC or its licensors, advertisers or affiliates. You obtain no interest in those intellectual property rights. All content on this Site is protected by Australian and international copyright and other intellectual property laws. You may not use the Site to infringe any copyright or other intellectual property right or any moral right or to use the Site to cause the unlawful distribution of content. Except as specifically allowed on this Site, you may not copy, reproduce, republish, download, post, modify, adapt, distribute, transmit, communicate to the public or otherwise use any of the content on this Site without the prior written consent of GOLDOC or its licensors, advertisers or affiliates (as the case may be). If you believe that any of your intellectual property rights have been infringed on the Site please notify us immediately via the form on the contact page. The supply and delivery from any third party advertisers or merchants appearing on this Site is at your sole risk including in relation to any advertising or marketing promotions made by these suppliers. GOLDOC is not responsible for the accuracy of this information or the suitability or quality of the products and services of any third parties. GOLDOC is not responsible for any representations, opinions, advice, statements, services, offers, or other information or content expressed or made available by third parties on the Site. You agree that GOLDOC shall not be responsible or liable for any damages or losses incurred by you as a result of any dealings had by you with third party advertisers or merchants. You should contact the relevant third party supplier directly to enquire about that information prior to entering into a transaction in relation to the third party products and services published on the Site. The products, services and information of third parties are not provided or endorsed by us and your legal relationship is with the third party supplier. We may receive fees and / or commissions from the third parties for goods displayed on the Site or sold through the Site. You acknowledge and consent to us receiving these fees. The Site may allow for user submissions now or in the future (including comments sections, discussion forums, bulletin boards or other information including in written, image, video or audio form) or provide for your participation in other interactive features ('User Submissions'). Include any material that contains a Virus. You grant (without compensation or further obligation) and warrant that the owner of the information contained in your User Submission has expressly granted us (without compensation or further obligation) a royalty-free, perpetual, irrevocable, world-wide non-exclusive license to use, reproduce, create derivative works from, modify, publish, edit, translate, distribute, perform, and display the communication or information in any media or medium, or any form, format, or forum now known or developed in the future (the 'Specified Acts'). You agree that we may sublicense our rights to your User Submissions for the Specified Acts. You give us a genuine consent to deal with any moral rights that arise in the User Submissions for the Specified Acts and not to challenge, contest or deny the validity of this consent. To the extent permitted by law, you agree that you shall have no recourse against us for any alleged or actual infringement or misappropriation of any proprietary right in your User Submissions. The Site may contain links and other pointers to Internet sites operated by third parties. GOLDOC does not control these linked sites and are not responsible for the contents of any linked site or any link contained in a linked site. The links are provided solely for your convenience and do not indicate, expressly or impliedly, any endorsement by us of the third party site or the products or services provided at those sites. GOLDOC does not assume any responsibility or liability for the actions, products and content of these third party sites. Your link to any such third party site is entirely at your own risk. You may create your own link to the Site provided that your link is in a text-only format and you do not use any link to the Site to create an unauthorised representation between a person, business, organisation, products or services and GOLDOC or the Commonwealth Games. Any such link shall not portray GOLDOC or the Commonwealth Games in a false, misleading, derogatory or otherwise objectionable manner.  The use by you of GOLDOC's logo, mascot, emblem or any other trademark or intellectual property right of the Commonwealth Games as a link to the Site is prohibited. You expressly agree that use of the Site is at your sole risk. Neither GOLDOC or the State of Queensland nor any of their respective employees, agents, third party content providers or licensors warrant that the content on the Site will be accurate or interruption-free. Some legislation such as the Australian Competition and Consumer Act 2010 (Cth) and other similar consumer protection laws and regulations in other countries may confer on you rights and remedies relating to the provision of goods or services to you by us via the Site which cannot be excluded, restricted or modified (your 'Statutory Rights'). We exclude all conditions and warranties implied by custom, law or statute save for your Statutory Rights. We do not warrant or make any representation regarding your access to, or the results of your access to, the Site including its correctness, accuracy, timeliness, completeness, reliability or otherwise. To the extent permitted by law, including but not limited to any act or omission on our part, you expressly agree that we will not be liable for any loss, damage, costs or expense whether direct, indirect, incidental, special and / or consequential, including loss of profits, suffered by you or claims made against you which result from any use of or access to the Site, or any inability to use or access, the Site. Paying the cost of having the goods supplied again. Any content downloaded from the Site or otherwise obtained through the Site is done at your own risk. Neither GOLDOC or the State of Queensland nor any of their respective employees, agents, third party content providers or licensors will be liable for any damages whatsoever arising out of your use of or inability to use the Site. We do not make any claims that the information contained on the Site is appropriate or may be downloaded in all areas, countries or jurisdictions. Access to the information contained in the Site may by certain persons or in certain countries may be unlawful. If you access the Site you do so at your own risk and you are responsible for compliance with the laws of your jurisdiction. We monitor visits to the Site to assist in understanding the areas of interest to visitors of the Site. For statistical and design purposes, we make a record of your visit in log files contained on the server. The information we collect about visits to the Site are usually in the form of "cookies". Cookies are small pieces of information (text) which a website can transfer to an individual's computer hard drive for record keeping. Cookies can reside on an individual's machine for a fixed period of time, or expire at the end of an Internet session.  All electronic mail messages sent to any email address provided on the Site becomes part of GOLDOC's records and may be retrieved by a key word searchable archive in accordance with the Public Records Act 2002 (Qld).  Your attention is also drawn to the fact that the GOLDOC is subject to the Right to Information Act 2009 (Qld) ('RTI Act'). Under the RTI Act, persons other than the intended recipient may access your e-mail message. Where GOLDOC suspects you have used the Site or content on the Site for a fraudulent or illegal purpose. Any requests, comments, problems or questions, please contact us. Privacy Statement last updated 17 January 2013.